If you’re a Boston sports fan, you may have noticed an unusual amount of Boston teams playing lately. Right now, Boston is the only city with an MLB, NFL, NBA, and NHL team that are all in season. From October 16 to October 31, there could be 16 consecutive days of Boston sports (depending on how the Red Sox do in the World Series). From October 3 to October 31, there could be as many as 39 Boston sports events. If the Red Sox hadn’t defeated the Astros in 5, all four teams would have played in one weekend. So far, it’s gone very well, as Boston sports teams have a 16-6-2 win-loss record this October. I’m calling it October Sports Mania, and today, I will give an update on all 4 teams with my thoughts during this time of madness. Context: For the first time in 5 years, the Red Sox have made the World Series! They have made it three other times in the 21st century, and they haven’t lost in a 21st century World Series appearance. This time, they take on the Dodgers in what could be one of the best World Series’ of the 21st century. Game 1 went down October 23, as Chris Sale faced Clayton Kershaw and the Red Sox won in a surprising slugfest. Who will win this exciting series? I’m calling Red Sox in 6 or 7 games. But considering that I have to get to school at 7:20 AM every day and the games start at 8:00 or 8:15 PM (some on school nights), I may not see every minute live like I would want to. Note to commissioner: Please make World Series games start earlier. A 6PM start, like the Super Bowl, would be nice. The Red Sox dominated all season after the addition of star hitter J.D. Martinez and manager Alex Cora. But in both 2016 and 2017, they choked in the playoffs. I had confidence in them against the Yankees in the ALDS, but that confidence was weaker due to these chokes and the fact that the Yankees were also a Top 3 MLB team this year. The Sox also had regressed throughout the month of September. But when they faced the Yankees in the ALDS, they returned to form. The bullpen was clutch and the lineup had awoken. They rode the momentum into the ALCS. It wasn’t looking good after Game 1, but they easily defeated the stacked, defending champion Houston Astros in the final four games. They have now advanced into an exciting World Series against the Dodgers. This series could go either way. Do you think the Sox take it all? This World Series will not be smooth sailing. I didn’t even expect the ALCS to end in 5 games. But I have confidence that the Red Sox will win. As long as Chris Sale is good to go and the lineup keeps making fireworks, we should take this series in 6 or 7 games. Context: The Pats are riding a 4 game win streak, and they’ve scored at least 30 points in every game since WR Josh Gordon was activated. 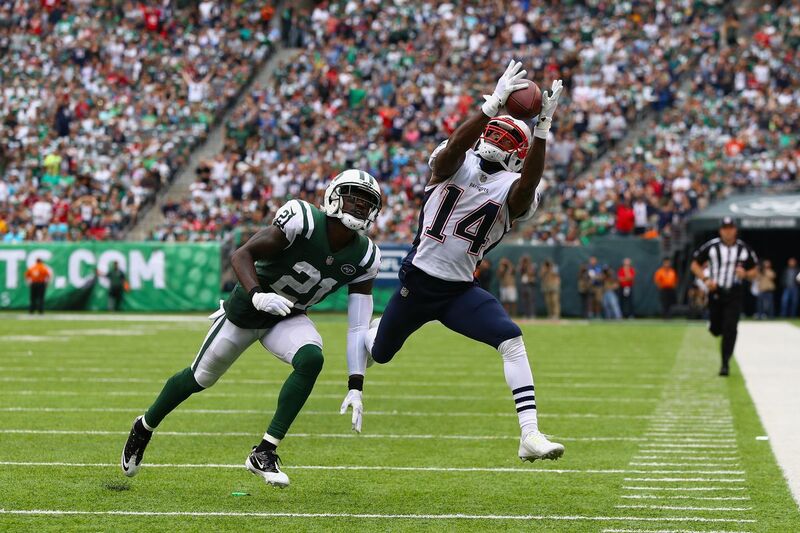 They beat the Kansas City Chiefs, who arguably have the best offense in the league, 43-40. Will they ride the momentum to a Super Bowl victory? This dominant offensive performance will serve them well, but they nearly lost to the Chicago Bears because of bad defense. Their defense is going to need to step up their game for a win on the big stage. I was very impressed by the win against Kansas City. The Chiefs may have one of the worst defenses in the league. But the fact that the Pats also scored 30+ against the Chicago Bears and the Miami Dolphins shows that this offense is here to play. They took down the 5-0 Chiefs, who had averaged 35 points per game and were riding the momentum to dominance. The Patriots should be able to take down the 1-6 Bills easily with QB Josh Allen and RB LeSean McCoy banged-up. But their next major test will come in Week 9 when they host QB Aaron Rodgers and the Green Bay Packers. They will need their best defense in that game. Context: The Celtics are off to a slow start. They did take down the 76ers and Knicks, but they fell to the Kawhi Leonard-led Raptors in Toronto and suffered an embarrassing loss when hosting the Orlando Magic on Monday. Will they pick up the pace and contend for a championship? I’m not so worried about the Celtics despite a rough start. They topped the 76ers (told you they would regress) by almost 20 and got past the Knicks in New York. Their loss to Toronto is understandable. The Raptors have only improved after the Kawhi Leonard trade and I did not expect the Celts to come to Toronto and win easily. As for the loss to Orlando, it was a little disappointing. But the Magic have a strong young core that could surprise a lot of people this year. I would not be concerned if they struggle in Oklahoma City and Detroit, both of whom I see contending. (Note: I’m pretty sure I was right about the Pistons in my NBA Predictions, Blake Griffin put up 50 against the Sixers). Expect them to split in two games against an improved Detroit Pistons squad. 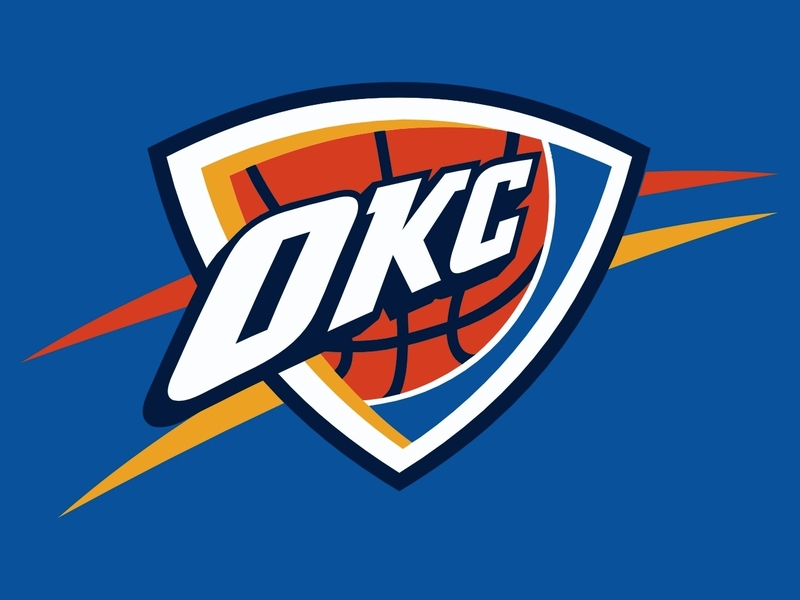 I think their next game against Oklahoma City could go either way. But even if they start 3-4, I think they’ll pull it together and contend for a title in the long run. Context: After a shaky four game road trip across Canada, the Bruins come home to face the Flyers and Canadiens. Montreal has been off to a strong start, and Philly has been alright as well, so wins won’t come easy over these next couple games either. The Bruins might not be top Stanley Cup contenders, but it seems that this young, talented team has picked up where they left off last year. 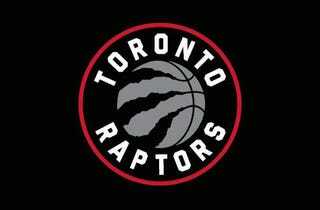 They are still a playoff team for sure and have appeared to be one of the better teams in the league. I’m a little concerned about their losses to the Oilers and Canucks, but it’s early in the season, and they’ve been doing fine otherwise. Look for more of the same heading into the end of the month. I could see them taking down Philly and Montreal in close home games, and I would expect them to give the Hurricanes a wake-up call after their surprisingly strong start. I had anticipated that the Hurricanes would start like this given their schedule, but trust me, it will not last that much longer. That’s all for today. I hope you enjoy the rest of this crazy month in sports, and stay tuned for more articles on all four teams soon. 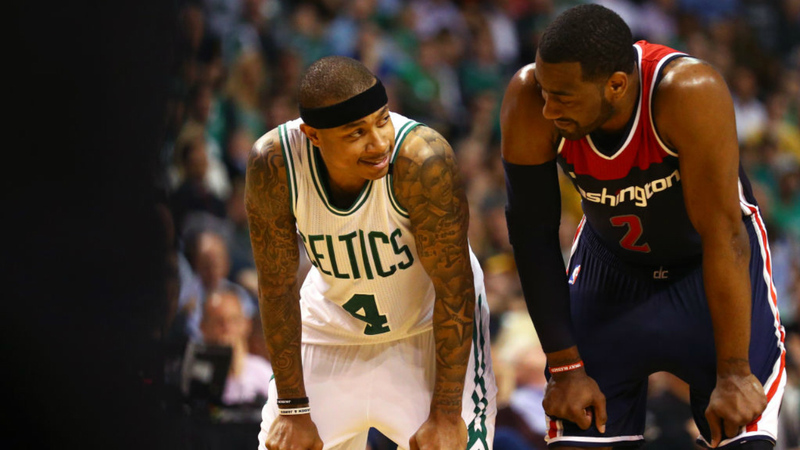 Can Boston teams sustain any more injuries? First, the Celtics lost Gordon Hayward on Opening Night and later lost Kyrie Irving for the season. Then the Bruins began sustaining a lot of injuries, and although they are still a strong playoff contender, it seems like another player goes down every time somebody returns. And now as the Red Sox are off to a hot start, they are far from full strength. Even though Eduardo Rodriguez has returned and Drew Pomeranz will be back soon, the Red Sox have continued to lose players to injuries. This past week, Xander Bogaerts, Hanley Ramirez, Bobby Poyner, Mookie Betts, and David Price have all missed or left games due to injuries. Hanley surprisingly only missed a game after taking a fastball on his hand/wrist area. He hit a mammoth line drive HR in his first game back keeping his hot start going. The Red Sox-Yankees rivalry is back and better than ever. This year, with the Sox and Yankees likely to compete for the AL East title, expect exciting games between these two teams. It did not take long for the intensity to get going in the first series. There were two bench-clearing incidents in the second game. I expect the tension to carry over into the next Red Sox-Yankees series and likely all of the remaining sixteen games. Despite numerous injuries sustained by both teams, this was not a series you would want to miss. After a hot 8-1 start, the Red Sox were confident and ready to prove that their strong start was not a fluke. After the Sox blew out the Yankees 14-1 in game 1, the Yankees came into game 2 with a little more fight. They won the game and Yankees DH Tyler Austin spiked SS Brock Holt when he slid into second. Tensions flared and benches cleared. 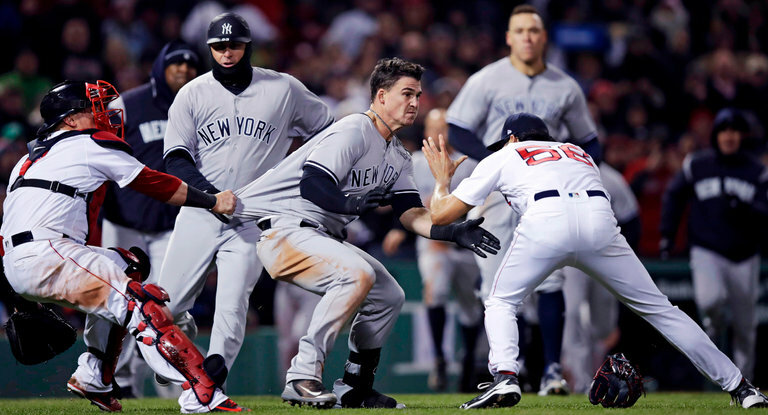 Another bench-clearing brawl occurred when Joe Kelly retaliated by hitting Tyler Austin later in the game and Austin charged the mound. This one got both Kelly and Austin ejected and both of them have since been suspended. Both players appealed to stay in the series and on the active roster until the hearing. You will not want to miss a Red Sox-Yankees game this year as they are clearly the best 2 teams in the AL East. By the time this game was over, starters Tanaka and Price were long gone as neither lasted too long. Price had the worst outing of his career lasting only 1 inning. He left after giving up 4 runs and was pulled before starting the 2nd due to a tingling sensation in his fingers. It was a cold night and sports radio talk has speculated Price’s issues were related to the cold, his elbow, or maybe even anxiety. Regardless, the Sox need Price healthy so whatever it was, the team and fans hope it was an isolated issue and he returns to pitching as well as he did to finish last season and start this one. The Red Sox may be missing a lot of players due to injuries but the lineup has been hot of late after a slow start and their rotation has looked like one the best in the MLB all season (except Price’s bad outing). Hanley Ramirez is on fire despite suffering a wrist contusion this week and J.D. Martinez has heated up after taking a week or so to adjust to his new team. He now has 3 HR and 13 RBI on the season, including a grand slam in Boston’s comeback attempt in Game 2 against the Yankees. The Red Sox have now hit 3 grand slams this season while they had none in 2017. Mookie Betts has also been on fire all season, batting .353, and Bogaerts was just as hot before his ankle injury on Sunday that got him placed on the 10-day DL. Andrew Benintendi started hitting well at home and is 10 for his last 26. The rotation has shown flashes of dominance too, and Red Sox starters have pitched quality starts in 3 of the last 6 games. 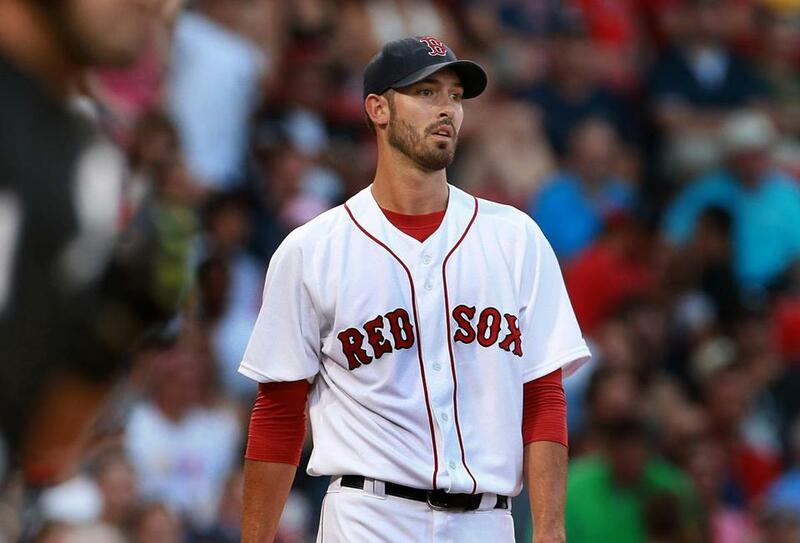 Rick Porcello even had a no-hitter through six on Thursday. The defense has helped the pitching playing nearly flawless all year with only 3 errors on the season. Jackie Bradley Jr. had an amazing catch this past Saturday that has SportsCenter Top 10 of the year potential. Red Hot Hanley: Ramirez Riding 10-Game Hitting Streak, Is He Back To His Pre-2015 Form? The Red Sox were expecting another power hitter to support Big Papi when they signed Hanley Ramirez back in the 2014-15 off-season. But a shoulder injury in 2015 limited Ramirez and he fell short of expectations in 2015 and 2016. Hanley looked better in 2017 but without Big Papi, he only hit .242 with 23 HR and 62 RBI. This season Hanley has been off to a great start. He is riding a 10-game hitting streak and he has hit 3 home runs and leads the AL in RBI. He is also hitting .362/.415/.617. You could argue that he has returned to the pre-2015 form that led the Sox to sign him to a very big contract. After going down with a wrist contusion on Thursday, some speculated that he would not keep this up when he returned. But he was ready to go for Saturday’s game he quieted the doubters and hit a home run in his first at-bat. If he keeps this up, he will remain an everyday starter on the Sox, something that was not a given to begin the season. Do you think Hanley Ramirez is back to his pre-2015 form, or will he cool down? The Red Sox sustained lots of injuries this week. Xander Bogaerts was placed on the DL April 8th after hurting his ankle when chasing a ball into the Rays dugout. On Wednesday, David Price left the game but it looks like he won’t miss a start. Bobby Poyner went down with a hamstring injury in the same game as Price and was placed on the DL. 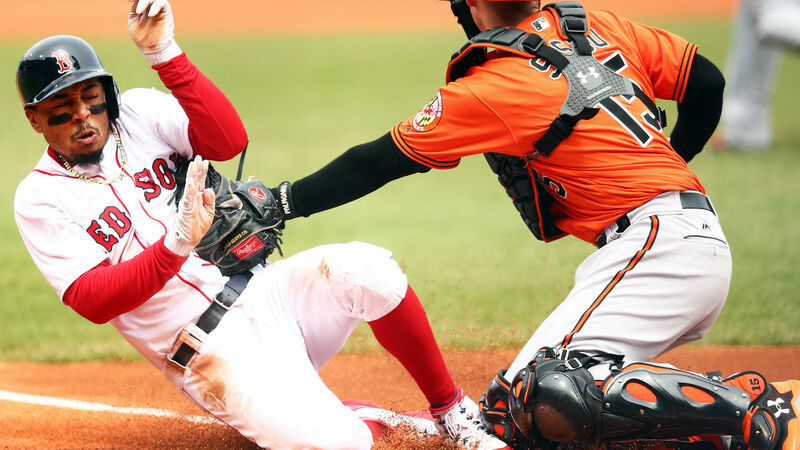 Mookie Betts left Saturday’s game after suffering a foot contusion by colliding with Orioles catcher Chance Sisco while sliding into home. He is now day to day, but he was out of the lineup Sunday. 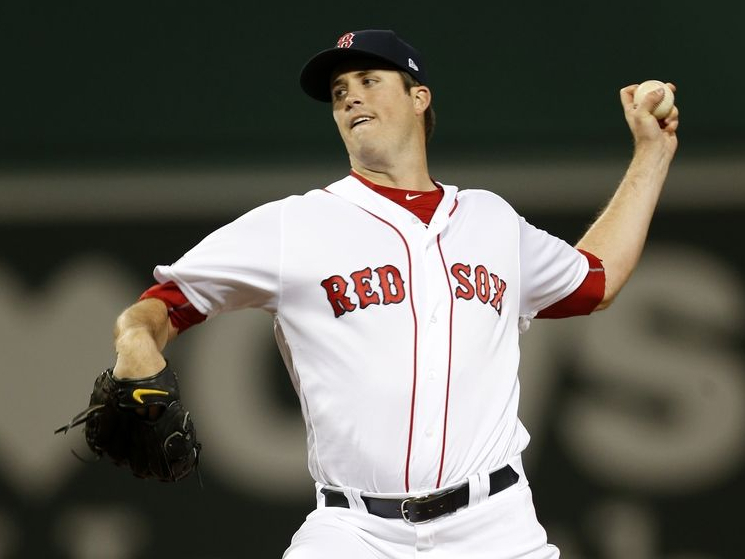 The good news is that Drew Pomeranz will be returning this Thursday or Friday after a strong rehab start in Portland, giving up just 2 runs in 5 1/3 innings. Relievers Steven Wright and Tyler Thornburg are also making progress in their rehab. I do expect the Red Sox to stay hot but these injuries could eventually hold the team back, especially with a tough road trip including visits to Anaheim and Oakland coming up. The A’s are led by power hitting out of veteran Khris Davis and breakout star Matt Chapman. The Angels are led by two-way phenom Shohei Ohtani and star hitter Mike Trout. They have a stacked lineup that has helped them get off to a hot start as they lead AL West. The Sox will face Ohtani in Game 1 of the series because their game on Sunday was postponed. Will the Red Sox be able to stay hot against these two teams despite injuries? The Red Sox will head out west after their Marathon Monday game against Baltimore was rained out and the first game is against young Japanese phenom Shohei Ohtani. He has dominated at the plate and on the mound, and he is the probable starter on Tuesday. Ohtani has become known as the HR-hitting ace. He has hit 3 HR and is batting .367/.424/.767 in 8 games at the plate. As a starting pitcher, he is 2-0 with a 2.08 ERA in 2 games on the mound. Stay tuned for more Red Sox posts coming soon. Boston sports fans needed 2 TVs on Thursday night as the Red Sox battled the Yankees in the series rubber match and the Bruins kicked off their 2018 playoff hockey against a tough Toronto squad. Most fans likely flipped back and forth and if they were lucky didn’t miss a run or goal and both teams dominated. The Sox have now won three in a row after more dominance today and the Bruins are on tonight so no flipping is needed. The Red Sox topped the Yankees 6-3, winning their first series of 2018 against New York. The Sox looked very good throughout the series. 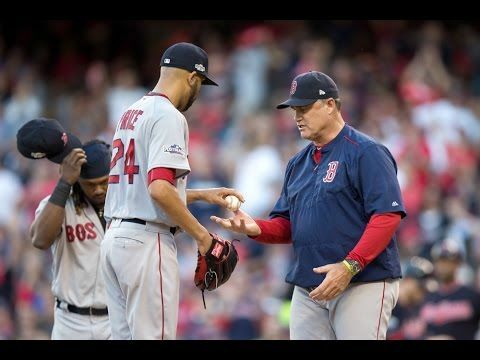 Although both teams are suffering numerous injuries, I think this is a good sign that the Red Sox may be ready to contend for a World Series title. Some people believed the opposite before this series, as the Red Sox had faced only rebuilding teams before their series against the Yanks. If they can do well against the 12-3 Los Angeles Angels and start next week’s west coast road trip off right, that will continue to solidify the Red Sox position as a true contender to win the AL East again and maybe go further. While the Bruins limped into the playoffs losing 4 of their last 5 to miss a chance to lock down the #1 seed, they returned to midseason form Thursday and dominated in Game 1. They blew out Toronto 5-1. The Bruins refused to let injuries hold them back, and the depth of their roster helped them. If the Bruins can bring the same intensity for the rest of the series, the Maple Leafs may struggle to win a game, let alone the series. The top line of Marchand, Bergeron, and Pastrnak played extremely well and their play really shined on the power play as the Bruins were 3 for 6, scoring one PP goal in each period. Please read on for a few more details on the big night for the Sox and B’s. 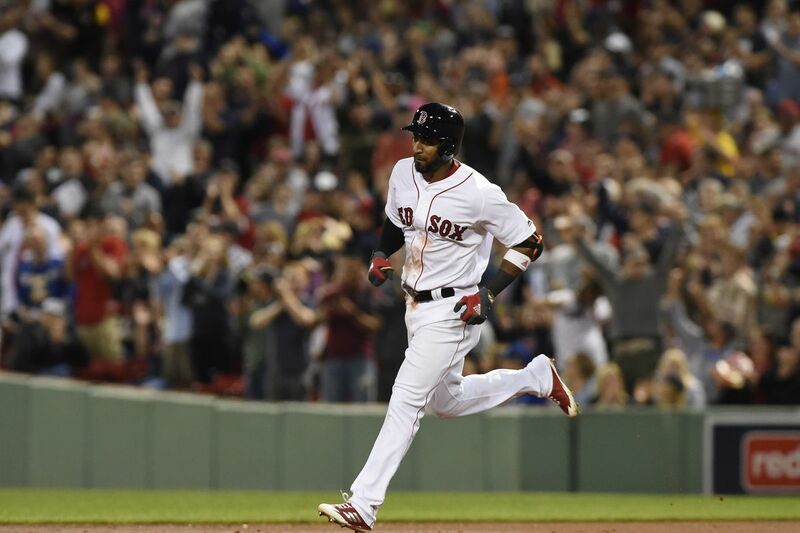 The Red Sox came out aggressive fearing a rain-shortened game and put up 6 runs over the first 3 innings on their way to victory over the Yankees, 6-3. Rick Porcello was dominant on the mound and had a no-hitter through six and finished with seven scoreless innings, giving up just two hits. Porcello stayed warm waiting out a rain delay after five innings but Rick came back into the game showing no ill effects from the delay. His no-hitter came to an end in the 7th inning when Yankees star hitter Aaron Judge doubled to break it up. The Red Sox grabbed hold of a lead early in the game. Hanley Ramirez, who has been on fire of late, left the game in the 1st after being hit in the hand by Sonny Gray but that did not stop the Red Sox. Eduardo Nunez led off in the next inning with a base hit. The cold was giving him knee discomfort as he raced down the first base line but he decided to keep on playing. JBJ walked to make it 1st and 2nd, and Sandy Leon drove in the run with a single. Brock Holt got on base with another walk to load the bases, and all three runners advanced one base when Mookie Betts hit a deep sac fly, making it 2-0 Red Sox with men on 2nd and 3rd. Andrew Benintendi then grounded to second base with the infield in. The Yankees chose to throw home but the throw bounced in by Sanchez and allowed Leon to score. Holt advanced to 3rd and Benny had time to advance to 2nd. Mitch Moreland, in off the bench for Hanley, drove in the fourth run with a single despite limited playing time this year. The Sox scored again the 3rd. Eduardo Nunez doubled to right, and JBJ hit a ground rule double to knock him in. Sandy Leon struck out on a pitch in the dirt that got away. Another bad defensive choice by the Yankees allowed Leon to reach as Gary Sanchez fired to 3rd but JBJ slid in safely. Mookie Betts knocked him in with a ground ball to the right side, 6-0 Boston. Betts ended up going 0 for 4 but he had 2 RBI on the night. The Yankees did not score until the top of the 9th when reliever Marcus Walden gave up a bases-clearing double to Gary Sanchez with the bases loaded. Craig Kimbrel came in to finish the job, and the Red Sox won 6-3. Injury Update: Hanley Ramirez did suffer a wrist contusion but avoided a more serious injury. He was out of the lineup Friday against Baltimore but returned today with a Home Run. What’s Next: The Red Sox have taken the first 2 games against the Orioles in a 4-game Fenway series as Eduardo Rodriguez dominated again against his former team as he has struck out more batters against the Orioles than any other opponent in his career. The Sox won easily 7-3. Velazquez gave up just 2 runs in 5 strong innings as the Sox cruised to a 10-3 victory and weather permitting hope Sale can keep the strong pitching streak for Sox starters going. The Bruins dominated in Game 1 of the first round of the Stanley Cup Playoffs. They topped a strong Toronto Maple Leafs squad, 5-1, with David Backes scoring one goal and being robbed of a second. Rick Nash also made an impact returning after a long absence. The Bruins dominated in their power plays, scoring a power-play goal in every period. One PP goal was during a 5-minute major power play due to a gruesome hit Nazem Kadri put on Tommy Wingels, knocking him out of the game. Kadri is suspended for the next 3 games of the series, and if the Bruins continue to dominate, he may not play another game this season. Zach Hyman scored the only goal for Toronto when the Leafs tied it up in the 1st period. After that, the Leafs fell out of it due to 4 unanswered Bruins goals. Injury Update: Wingels is out for Game 2 after being hit by Kadri. Riley Nash is doubtful with an ear laceration. Donato is playing for Wingels. What’s Next: The Bruins take on the Leafs at the TD Garden again tonight. It is being aired on prime time on NBC. 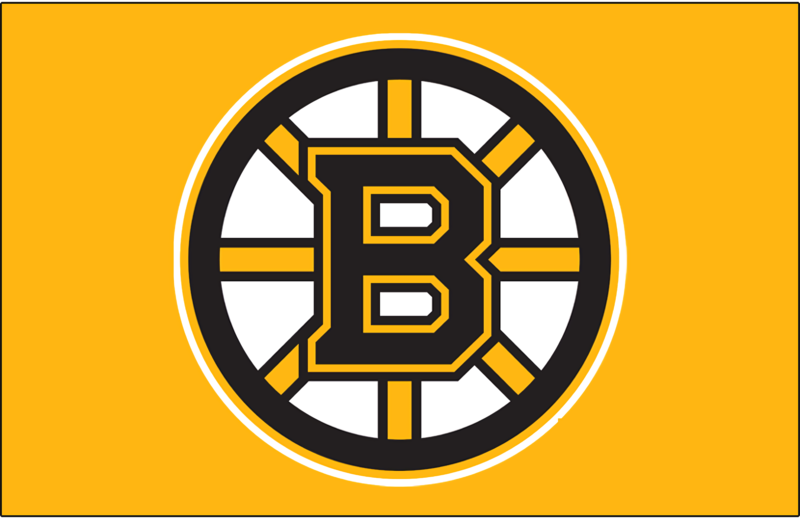 The Bruins have jumped out to a 5-2 lead early in the 2nd period, going 2 for 2 on the power play and scoring another 4 unanswered goals to begin the game. Stay tuned for more Red Sox and Bruins coverage soon, including my latest Red Sox Report. The Bruins have a very tough road ahead. They will face a tough Maple Leafs team in the first round, and will likely see the Lightning in the Eastern Conference Semifinals, another tough team. 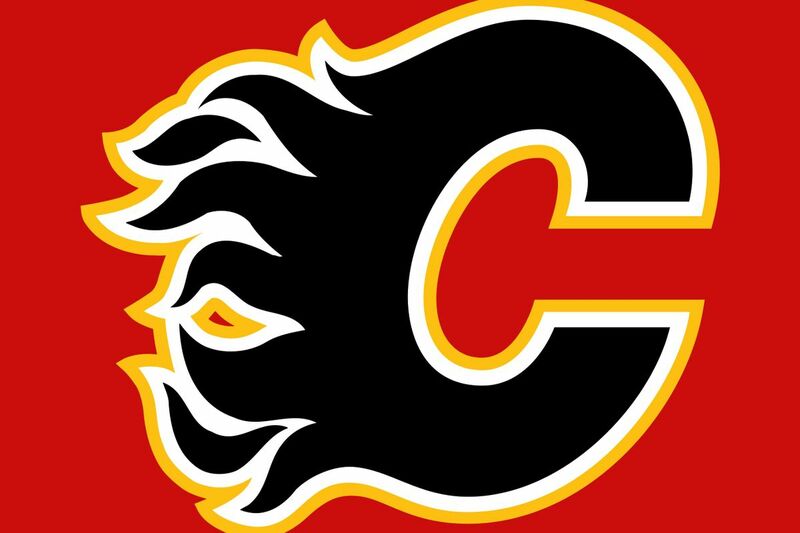 Their defensive struggles will definitely hurt them in the later rounds, especially if they face the Pittsburgh Penguins, Washington Capitals, or the dominant Nashville Predators. I do think the Bruins will win in the end though. If they can stay healthy from here, they have a lot of talent that is capable of keeping the offense going. The defense should be alright without Brandon Carlo, especially if Zdeno Chara, Charlie McAvoy, and Torey Krug do well in the playoffs. I have picked most of the higher seeds in the East besides the Bruins and Penguins. But in the West, I have picked several upsets. The Golden Knights were the league’s biggest surprise this year, but they are inexperienced in the playoffs, and regressed down the stretch after appearing to be the league’s best team in the early months. I think the Kings will give them a rude awakening and Vegas will struggle under pressure. The Sharks will also go deep. I think they have a better roster than the Ducks and will outmatch them head to head. They will top the Kings, a lower seed after LA shocks the Golden Knights and advance to the Western Conference Finals. The Kings will win in Round 1, but do not expect them to go any further. But the Predators are too good for them. I also picked the Wilds over the Jets for similar reasons. I think the Bruins would’ve been much easier off against the Devils. The Lightning will dominate in New Jersey. I think the Florida Panthers, who just missed the playoffs and a lot of other teams would have given their opponents a bigger challenge than the Devils. In my opinion, although the higher seeds in the East will win in the 1st Round, lower seeds like the Maple Leafs, Flyers and Blue Jackets will give their opponents a good challenge. As I said earlier, I think the Devils will be the easiest first round opponent. That’s all for my NHL Stanley Cup Playoff Predictions. Stay tuned for more coverage. Recently, I entered the 2018 Will McDonough Writing Contest through the Boston Globe and the Sports Museum at TD Garden. On Monday, I found out that I received an honorable mention at the 8th grade level for my 500-word essay. Over 1000 kids participated in this contest. As a prize, I will be receiving a certificate and four free museum passes. I have been to the TD Garden for Celtics games, Bruins games, and many other events, but I have never gotten the opportunity to visit this museum, and I am really looking forward to it. You can see the other winners and honorable mentions for the contest and more information about the contest here. My essay was about the attending the first Red Sox game at Fenway after the 2013 Boston Marathon Bombings. I have also added pictures below that were taken on the day of the game. Below is my official essay. It was the middle of the 8th inning at Fenway Park on April 20, 2013. As usual, Sweet Caroline was playing. But this time Neil Diamond surprised everyone by showing up to sing it live. It was the first Fenway game since the Boston Marathon bombings. The game was against the Royals and I was there for my cousin’s 10th birthday. Although the bombings were on Marathon Monday, I didn’t hear about it until Wednesday because I was only nine and my parents didn’t want me to know about the awful news. While in line at Dunkin Donuts I saw coverage of the bomber manhunt on TV so they had to tell me what was going on. As the weekend approached, the Red Sox canceled the Friday night game. The city was on lockdown until the second bomber was caught. That night I couldn’t fall asleep until I knew the bomber was captured. Fortunately, he was and Saturday morning we headed to the first game since the bombing. When we arrived on Lansdowne Street, the entertainment outside Fenway combined with thousands of people singing “Hallelujah” inside the park helped lift the sadness in the city. We had to wait on a long security line but nobody seemed to mind. We were just happy that the game was on and the city was safe. The energy inside Fenway that day was indescribable. The pregame ceremonies began honoring the Marathon bombing victims, the police that hunted down the bombers, and the paramedics who helped many wounded victims. The Red Sox were wearing special Boston Strong jerseys and there was a “B Strong” symbol on the Green Monster. As part of the ceremony, David Ortiz firmly stated, “This is Our F***ing City!” I had been to several games before but this was different. The game itself started off slow but the crowd was loud after the inspiring pregame ceremony, chanting “USA” and “Boston Strong” rather than “Let’s go Red Sox.” The Royals jumped out to a 2-1 lead. But after Neil Diamond’s surprise appearance, Daniel Nava crushed a go-ahead 3-run homer to give the Red Sox a 4-2 lead. Although Lorenzo Cain hit a solo homer in the top of the 9th, closer Andrew Bailey finished the job for Boston, who won 4-3. After the game we were ecstatic, but we had no idea how much the Red Sox would turn things around for the remainder of the season. Following a dismal last place 2012 season, I believe this game propelled the Red Sox to a 2013 World Series victory. As we approach the five year anniversary of this historic game, what I remember most is how unified the city, as well as the country, seemed to be after such a violent event struck our city. I wish our country didn’t feel so divided and helpless right now especially after numerous mass shootings. We need the feeling of unity and resilience that everyone felt that day at Fenway Park. My brother and I enjoying the entertainment outside Fenway Park during the long security lines. Keeping score at the game. I hope you enjoyed reading my essay. If you would like to enter the contest yourself, sign-ups for 2019 will be open next January. It is open to students between grades 4 and 12. Welcome to my 2017 sports year in review! This year has been historic in Boston sports, as all 4 of our teams made the playoffs and the Pats won a championship. Today I will list the Top 10 stories of the year. With a win over the Jets today, the Pats locked up the #1 seed, giving them home-field advantage throughout the AFC Playoffs. The Steelers, who also went 13-3, grabbed the 2nd seed, but the Pats have the tiebreaker after a big win over Pittsburgh, which may be mentioned later on our list. This summer, the Celts signed former Utah Jazz forward Gordon Hayward. 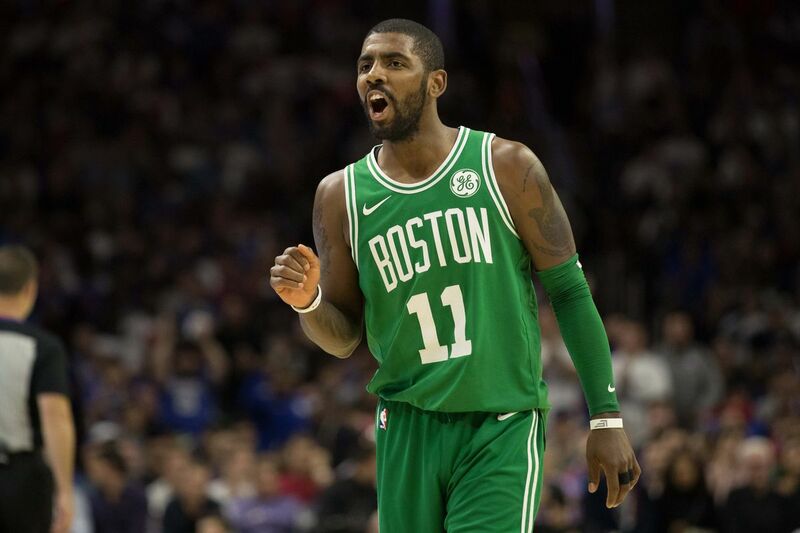 Although he did not get to play much due to a brutal leg injury, it was a good signing that will help the Celtics offensive efforts in coming years. The question is, will Hayward ever fully heal? After a tough fight for the division with the Yankees, the Sox clinched the division in a 6-3 win against the Astros. The Sox won the division for the 2nd straight year, but it will be tougher this year as the Yankees acquired Giancarlo Stanton. This was a surprising move as Brady is 40 years old and should have a young backup ready. Garoppolo also did really well during Brady’s suspension. The Garoppolo effect has led the 49ers to a pretty good final record. How much longer can it last? The Celtics had won the pick in the lottery after their trade with the Nets. 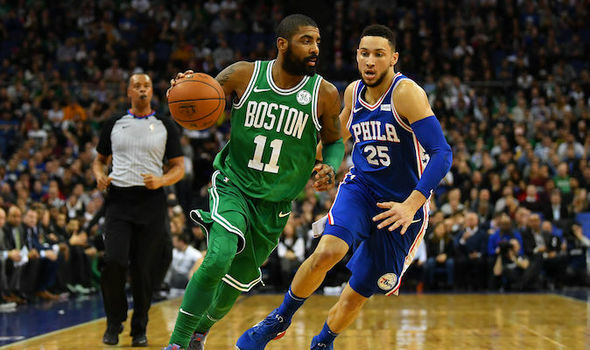 However, it didn’t matter as the guy they wanted, Jayson Tatum, was not going before Markelle Fultz or Lonzo Ball, and the Celtics were able to draft him. Honestly, he’s doing better than Fultz or Ball. He’s led the Celtics as a rookie, something that has not happened in a long time. I was losing faith in the Celts, but they pulled it off. However, they lost to Cleveland the next round. This was a good move as Cooks became the Pats’ #1 receiver and deep threat this season as Julian Edelman went down with a torn ACL. Irving has made a difference this season, and Isaiah Thomas and Jae Crowder haven’t done nearly as much as him. This is a good trade so far, but Thomas has been hurt, so the outcome is still unknown. That’s all for this article. Happy New Year, and stay tuned for playoff predictions coming tomorrow. Yesterday Sarge gave me and my family an all-access tour of WBZ Studios, home of WBZ-TV, WSBK-TV, and WBZ 1030 AM Radio. When I first walked in, I noticed images of some of my favorite WBZ Newscasters like Steve Burton, Dan Roche, Barry Burbank and David Wade. I even saw digital posters of two of my favorite CBS shows, Young Sheldon and The Big Bang Theory. Sarge greeted us in the lobby and we began our tour. He told us about the history of the station. It started as a radio station in 1921. It was one of the first radio stations in the country and the first in New England. In 1948, WBZ-TV began airing. Me in front of a vintage radio and television. First, we went to the Sports News anchors’ offices that included offices for Steve Burton and Dan Roche. They had sports pictures all over the walls and it felt like being inside a miniature Boston sports hall of fame! After that, we entered the huge newsroom. TV reporters were on one side and radio reporters on the other. The TV side was quiet but the radio side is always busy. I got to meet Charlie Bergeron, another WBZ Radio sports reporter who I had just heard on the radio on the way to the studio. He took the time to tell me about the specifics of his job and show me the sports update script he was currently working on. I even got to go into the studio to watch his next live broadcast! Next, I met the radio traffic reporters and saw a live image of the current traffic, which was noticeably quieter during the weekend. I also saw part of their script for their next report. After the newsroom, we visited a huge control room. Sarge said that even he’s overwhelmed by it. Then came the best part of my tour. We got to visit both TV studios. The first one we visited was mainly used as a backup studio but they did traffic reports there when the other studio was being renovated. Me on the stage of the old studio. My brother Ryan in the studio audience cheering me on. Me on the left on the stage of the old studio and my brother Ryan on the right cheering me on in the studio audience. But when I saw their main studio, I felt like I had just walked into my TV when WBZ News was on. Me and my brother at the news desk doing a mock broadcast. When I first walked in, I saw Barry Burbank, a meteorologist who I had grown up watching. I had previously met him when he came to my elementary school, Peaslee in 2015, but I didn’t get the chance to talk to him until this day. Then we saw the news anchors’ desk, the couch that was often used during Patriots 5th Quarter, and the area where they filmed the weather forecast. We even saw snow in Michigan on the current radar, and according to Barry, it could be coming our way, but he didn’t want to forecast it yet. My brother and I were shocked to see snow on the radar. On our way out, we got a glance at the WBZ Hall of Fame. We continued to listen to Sarge on the radio on our way home. That wraps it up for my 500th article on Boston Sports Mania. This tour was an unforgettable experience and I’m grateful that I got to learn so much as I continue my pursuit to become a sports journalist. I’d like to thank Mike ‘Sarge’ Riley and give him a huge #sargesalute for this amazing experience. Me with Sarge in the WBZ Studio doing the #sargesalute.